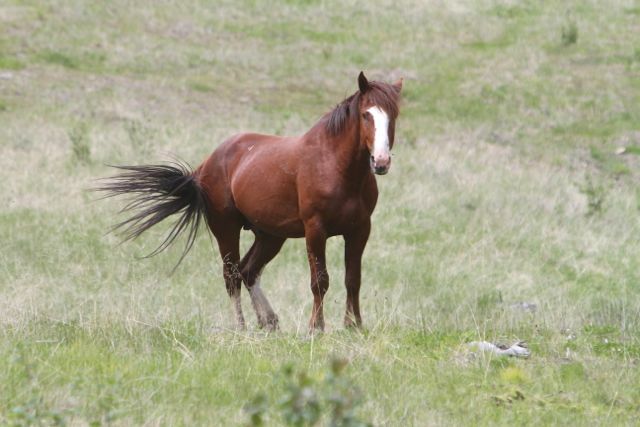 We wanted to give all of our followers an update on what is happening in wild horse country in July. The floods and rains that came to the west country did a lot of damage to the river beds, horse trails, roads and bridges. Coal Camp Road and the Forestry Trunk Road had sections washed out and bridges compromised by the rivers and streams. 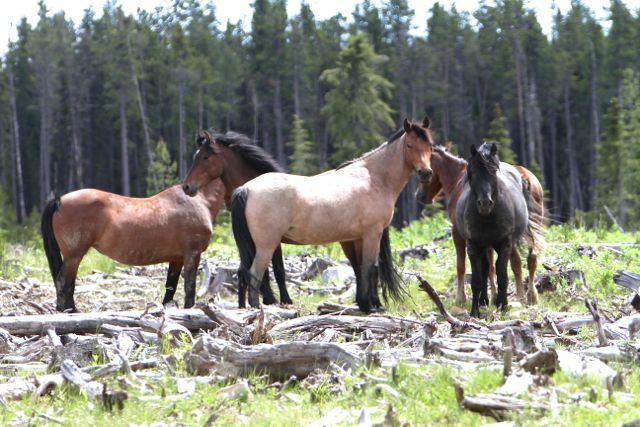 The wild horses and other wildlife were not affected too negatively by all of this. 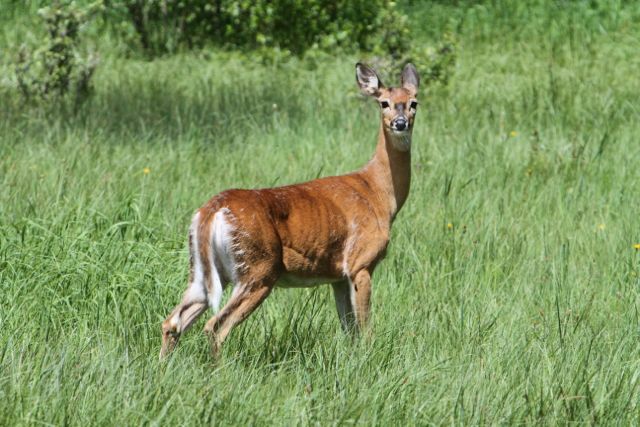 Whitetail doe, belly deep in grass. Having to ride into some of the back valleys to check on the herds we have found them to be in excellent shape. With the rains also came the grasses and no matter where you go the forage is green and lush. 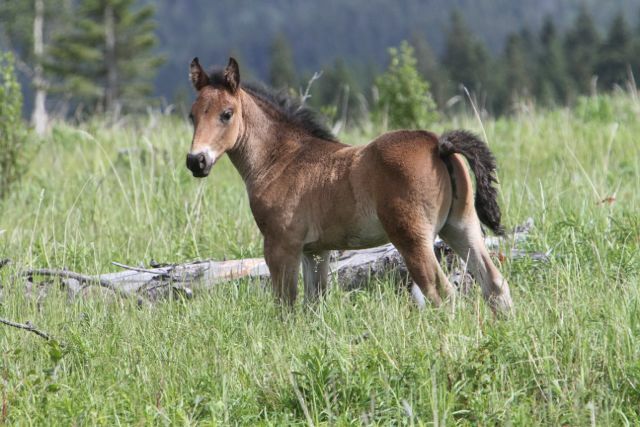 There is so much grass, it is hard to believe that some individuals still claim that the wild horses are taking it away from cattle, deer and elk. 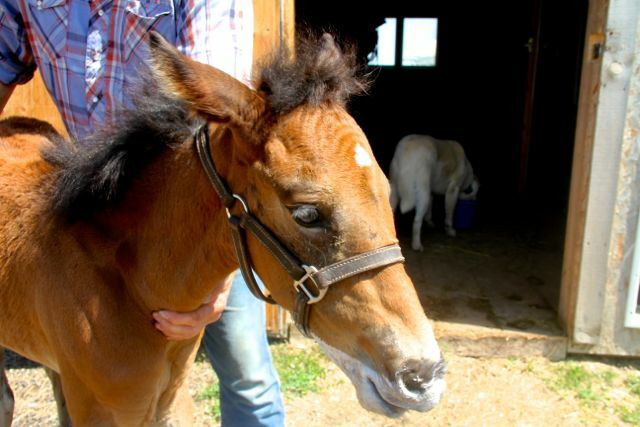 The foals that are still with the herds are doing extremely well and are strong and healthy. In our travels though a lot of the herds may have one or two foals only and then some have none at all. So the season has been hard on the foals again and the mortality rate due to natural causes, such as sickness and predators, is high again. Another reason to hope that we can convince the ESRD from having a capture season this year. In the previous blog we told you about Chance and I am happy to report that he is doing really good. He is in a new home now and wow does he love his milk bucket. His companion for now is an adult horse until he is old enough to join the other horses in the pastures. He has grown quite a bit and still loves to romp around his paddock showing off to his other companions the dogs and us. His bond with his humans and the other animals is strong and he will grow into another beautiful horse. It’s amazing that they weren’t affected at all by all that water. Truly showcases their hardiness! Is there anyway to purchase them when they are captured? I am assuming that they are still being caught and sold to slaughter. 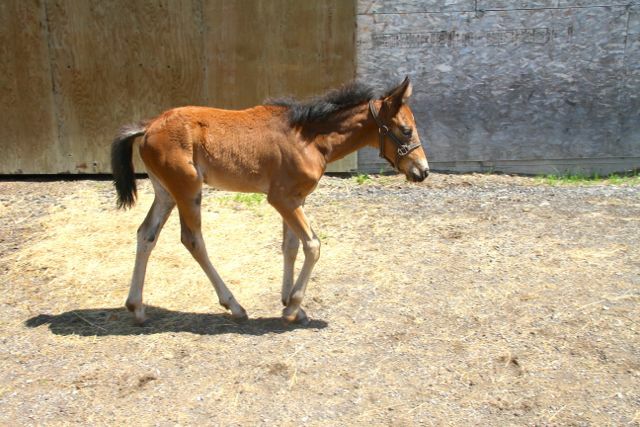 I’d love to give a filly or mare a home, just to give them a chance.